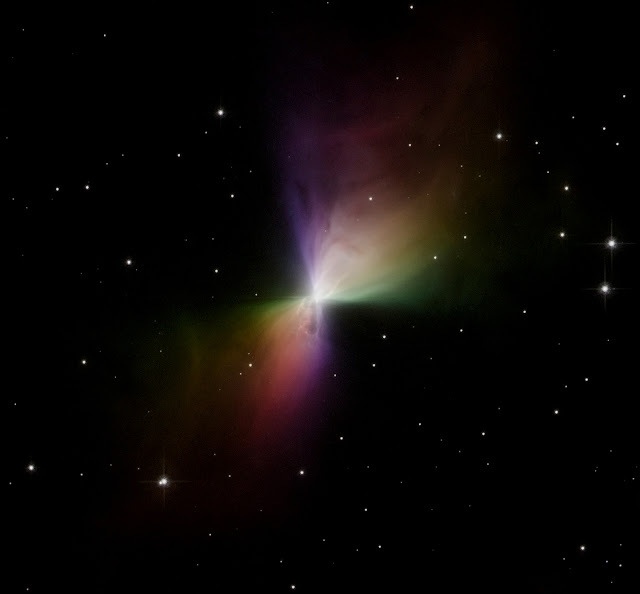 This is the Boomerang Nebula, which is about 5000 light years away, in the direction of Centaurus. It's interesting because it's so cold -- the rapidly expanding gases of the nebula are only one degree above absolute zero, making it the coldest region we've found in the distant universe. But what caught my attention is the size -- it is one light year from end to end, a perfectly ridiculous size and a reminder of just how much space there is in space. And it's also ridiculously beautiful. Those colors make me want to dance.